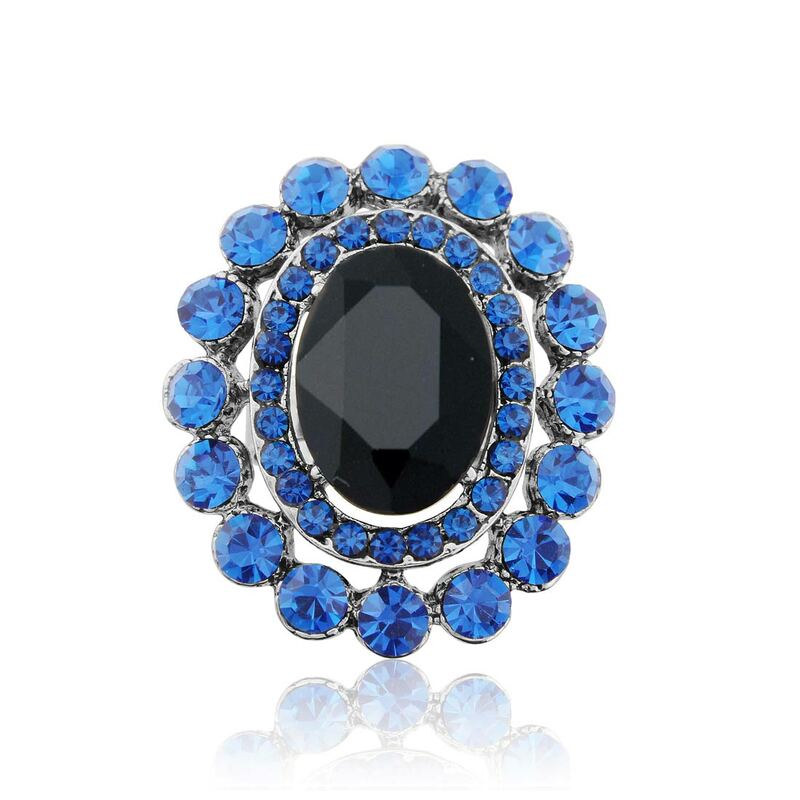 Add a splash of vibrant colour and attract an admiring glance with this bold cobalt crystal cocktail ring. Statement style at its best. Striking and vibrant, our ocean hued The Blues Cocktail Ring is a fabulously dramatic piece. Featuring an outline of dazzling cobalt blue Austrian crystals surrounding an oval jet cubic zirconia centre, this bold silver tone sparkler has an adjustable band to fit most ring sizes. Perfect to transform any outfit with a stunning splash of captivating colour, this statement dress ring blends vintage and modern influences to create a timeless design that will take you from season to season in style. Stunning to accessorise a blue hued outfit for a tonal style or contrasted against black or decadent jewel tones, The Blues Cocktail Ring is sure to spend very little time store in jewellery box. Daytime chic or evening glamour, modern or vintage; this rock is a style chameleon that looks amazing with every look.